This project was created by the Lilly Oncology on Canvas organization to celebrate their 10 year mark. 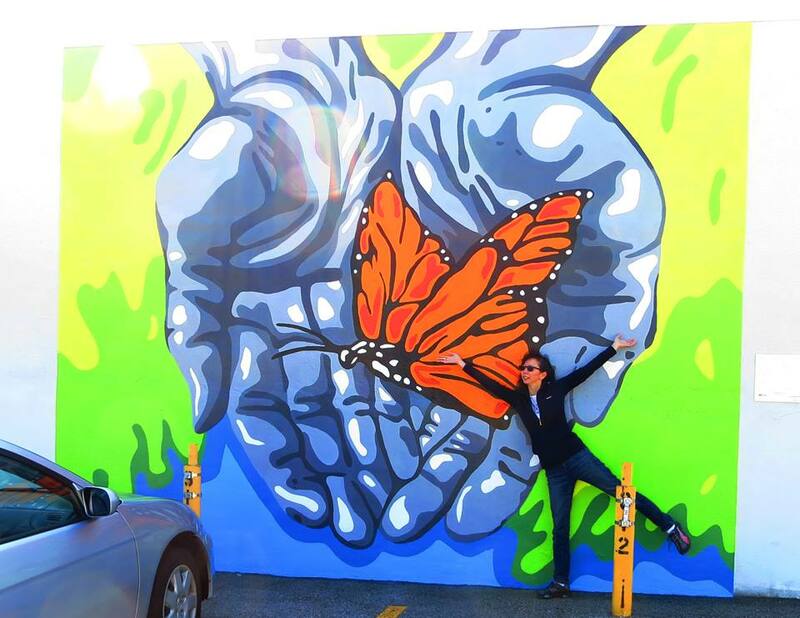 They decided to create 10 murals in 10 cities in the United States and Puerto Rico. Lilly decided to honor past winners that spanned their 10 year existence. They chose from several medium categories, and then submitted the artwork to a committee who narrowed it down to three pieces of artwork for each city. Those three pieces for each city, were then submitted to the public for voting through Lilly's Facebook page. At the time this was all going on, I had no knowledge of this process, until the day I received a call from Mr. Da Costa and Ms. Chernewski of the Lilly Oncology on Canvas office in New York City, that my piece "Awakening" was voted as the mural to be created for the Philadelphia area. On September 18, 2014, the CEO of Fox Chase, the doctors, the patients, support healthcare workers, and many survivors, gathered to create the transformation of my artwork into a mural. The day was epic. I felt I was floating in the buzz of it all. I swam in the energy, the glow, the smiles and laughter. I drew it all in. I didn't want the day to evaporate. That day, I met so many wonderful, kind, generous, caring people. This day will be blazed in my memory forever. I felt so honored, so privileged, so blessed to have these surreal moments given to me from the generosity of the Lilly Oncology on Canvas organization. One of the highlights of that day, was that, I got to paint with my doctor, Neal Topham, who made me feel whole again. Most of all, I would like to thank the National Cancer Coalition Association, The Lilly Oncology on Canvas, Fox Chase Cancer Center, BigCar Company and the Philadelphia Mural Organization for making this amazing event come together.